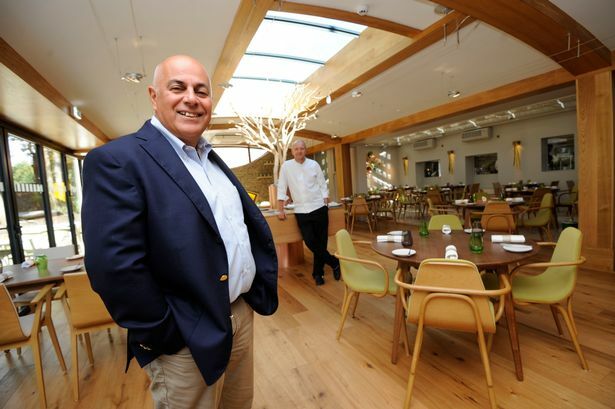 Andreas Antona, chef patron of Edgbaston&apos;s Michelin-starred restaurant Simpsons, opened his first restaurant in Kenilworth with fellow chef Luke Tipping. The restaurant was awarded its first Michelin star in 1999 before moving to Edgbaston in 2004. He took over The Cross in Kenilworth in 2013 which achieved its Michelin star a year later. He worked under Anton Mosimann at The Dorchester, and also at The Ritz. He was head chef at Birmingham&apos;s Plough and Harrow during its heyday in the late 1980s when it was known as one of the best restaurants in Birmingham. The Digbeth Dining Club is officially home to Britain&apos;s best burger. Digbeth Dining Club regulars Flying Cows scooped the accolade at the 2017 British Street Food awards. Flying Cows is run by ex-Simpson&apos;s chef Dan Batchelor. The Digbeth Dining Club was founded by Jack Brabant in 2012. The event brings street food to the masses in Birmingham. Taking place at Spotlight, Digbeth, on Fridays and Saturdays, the award-winning event showcases some of the best street food traders in the city and helps them grow their profile. Mr Brabant, who works in the film and music industries, plans to take the idea to other towns in the Midlands, plus pop-up versions in venues around Birmingham. Brad Carter and Holly Jackson are joint proprietors of the highly esteemed Wake Green Road restaurant Carters of Moseley. Mr Carter is the chef while Ms Jackson is maitre d&apos;. The restaurant has gained a reputation for fine food in a non-formal atmosphere and is listed in the Sunday Times Top 100 Restaurants guide as well as The Michelin Guide. It won the Good Food Guide readers&apos; restaurant of the year award and the Open Table diners&apos; choice award. Mr Carter learnt his skills at University College, Birmingham before working at fine dining restaurants in Marseilles, Menorca and London. As well has highly regarded restaurants in Birmingham, the San Carlo Group has outlets in Bristol, Leicester, Manchester, London, Leeds and Liverpool and franchised operations in the Middle East. Carlo Distefano is the group&apos;s owner and chairman. The business was established in 1992 when the San Carlo restaurant opened in Temple Street. With their roots in Sicily, the £60 million turnover group is now operated by three generations of the Distefano family. It employs more than 1,000 people. Birmingham-born chef Aktar Islam has announced his decision to leave the Lasan Group to pursue other projects. He joined Lasan after it was opened by Jabbar Khan in the Jewellery Quarter in 2002 and it quickly gained a reputation for its food, combining classic techniques and recipes form the Indian sub-continent with a modern, innovative style. It was highly rated in the Times 100 Best Restaurants guide and Gordon Ramsay named it the Best Local Restaurant on his Channel 4 series. The Lasan Group also includes the Raja Monkey street cafe in Hall Green, the Fiesta del Asado Argentinean restaurant in Edgbaston, Nosh & Quaff in Colmore Row and Izza Pizza in Selfridge&apos;s Food Hall. Mr Islam has become a TV regular, appearing on The Great British Menu, which he won, Saturday Kitchen and Market Kitchen. Jabbar Khan opened the multi-award winning Lasan restaurant in 2002 and was later joined by business partner and chef Aktar Islam. Mr Islam has since left the Lasan Group but Mr Khan continues to run the business which also includes the Raja Monkey street cafe in Hall Green and the Fiesta del Asado Argentine restaurant in Edgbaston. His most recent venture is Nosh & Quaff in Colmore Row. He is a winner of the Institute of Asian Business&apos;s Young Entrepreneur award and has become a respected business commentator and hospitality industry campaigner. "Yummy Brummie" Glynn Purnell has brought a bit of Chelmsley Wood style to the BBC&apos;s Saturday Kitchen and it is going down well with viewers. It is the chef&apos;s latest foray into TV, which has included Secret Kitchen, The Great British Menu and My Kitchen Rules. Owner of three establishments in Birmingham, Mr Purnell has been cooking professionally since he was 14. After training with top chefs, including Claude Bosi and Gary Rhodes, he helped launch Birmingham&apos;s first Michelin starred restaurant - Jessica&apos;s - before opening Purnell&apos;s in Cornwall Street, which got its Michelin star in 2007. He has since opened Ginger&apos;s Bar and Purnell&apos;s Bistro. Joe Schuppler is the founder and editor of Independent Birmingham which began life in 2013 as a guide to people living and working in Birmingham to explore the city&apos;s best kept secrets. Since then, it has gone on to host huge food and drink festivals and launched the Independent Birmingham membership card for people eager to support and champion local independent businesses, not just in the hospitality sector. Independent Birmingham&apos;s website has more than two million hits and 60,000 unique visitors a month. Mr Schuppler was 22 when he started Independent Birmingham, originally an offshoot of Independent Liverpool started by his university friends. The success of Adam and Natasha Stokes&apos;s restaurant in Waterloo Street, which opened in 2016, has confirmed their standing on the contemporary fine dining stage, after their acclaimed two-year "pop-up" restaurant nearby. It took just six months for Mr Stokes to get a Michelin star, as well as three AA Rosettes and a rating of Number 3 Restaurant in the UK and number nine in the world by Trip Advisor. Before moving to Birmingham, he was head chef at Glenapp Castle in the Scottish lowlands where he also gained a Michelin star. Robert Wood is well-known in bars around Birmingham as THE cocktail guru, having made his name as head bartender at the Edgbaston Hotel and 40 St Pauls. Last year, he opened the appointment-only cocktail bar Smultronstalle in City Arcade off Union Street, where there is room for just ten people and advance bookings are taken for two hour "culinary cocktail journeys". He is also in charge of the cocktail programme at The Wilderness and The Plough in Harborne. He began mixing cocktails in the Canary Islands as a holiday job and now competes in world cocktail contests, achieving the title of Cocktail Challenge Supreme Champion and Drinks International Bartender of the Year. Franchisee Doug Wright began his career with McDonald&apos;s more than 25 years ago. Now he runs 15 McDonald&apos;s restaurants across the West Midlands, employing more than 1,400 people. His restaurants include franchises in Walsall, Sutton Coldfield, Cannock and Rugeley. His restaurants are regarded as well run and profitable so he is highly regarded by the fast-food giant. Mr Wright is a winner of the Fred L Turner Golden Arch award - the highest accolade in the McDonald&apos;s empire. He is also chair of the Ronald McDonald House charity at Birmingham Children&apos;s Hospital which provides accommodation for the parents of sick children. It can accommodate 90 families a night. Phil Urban joined Mitchells & Butlers in January 2015 and became chief executive nine months later. He was preciously managing director at the Rank Group&apos;s Grosvenor Casinos operation. Mr Urban was chairman of the National Casino Forum and is a previous managing director of Whitbread&apos;s pub restaurant division and Scottish & Newcastle&apos;s restaurants and accommodation division. He is a management accountant by profession.